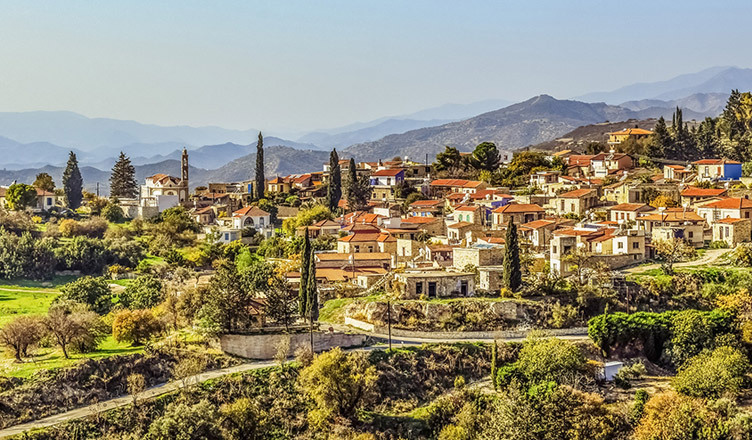 Cyprus is an island country situated in the Eastern Mediterranean and is both third largest and third most populous island in the Mediterranean. The country is very strategically located and has excellent air links to Asia, Middle East, and Europe and also has stable tax policies, easy and simple business regulations, and favorable business environment. These features of the country make setting up a company in Cyprus is very advantageous. Let’s see some of the reasons as to why you should invest in Cyprus…. Not only this, the economy of Cyprus is steadily growing due to the various steps taken by the government of Cyprus and this makes it a very attractive place for you to invest. Cyprus is a globally well-known shipping centre and has about 1,000 vessels with 21 million gross tonnages registered. The merchant fleet of the country is ranked 3rd in Europe and 10 globally. The unique geographic location, advanced infrastructure and services, and the attractive taxation make Cyprus an ideal location for ship owning, ship management, ship chartering and ancillary shipping-related companies. Energy is projected to become a crucial source of growth in the island, especially after the discovery of the natural gas reserves in the EEZ (exclusive economic zone) of Cyprus. The country is also considering various other options related to natural gas in its offshore territory and creating a liquefaction plant for export of natural gas as well as of neighboring countries. ICT is a very important driver of productivity and growth. Cyprus has the knowledge to support Foreign Direct Investment for expansion and/or development of projects on e-Government, e-Business, e-Learning, e-Inclusion, e-Health, and overall ICT services. The country also has aligned its ICT and innovation strategy with the flagship initiatives such as “Digital Agenda for Europe” and “Innovation Union” of the “Europe 2020” growth strategy. Cyprus is well known worldwide to provide excellent professional services which include accounting and legal services. Many opportunities exist for the establishment of new offices or branches in Cyprus, taking advantage of its geographical position, its membership of the European Union, as well as its good relations with Middle Eastern, Central European and Eastern European countries. There has been an increase of 10.5% on an average, annually, in the total number of students with tertiary education in the last 5 years. Almost a third of all tertiary students studying in Cyprus come from abroad. This is a great opportunity for new Universities, Colleges and Research Institutes to be initiated in Cyprus. Cyprus welcomes people who are interested to expand and internationalize their activities in the health services sector. The country turns out to be an ideal place to attract people from neighboring countries and from European countries seeking high-quality health services at competitive rates. As the global market is forecasted to continue its growth, Cyprus is well placed to participate in this growth by offering its expertise, financial stability, cost competitiveness, educated human resources, and expertise as well as other comparative advantages. These are some of the industries which show huge potential in the coming year. If you would like to set up a business in Cyprus then Business Setup Worldwide can assist you in the company formation process by providing consulting, incorporation, registration, and legal services. To know more about the various services we provide, do reach out to us. Ashish Kumar has completed his PGDM in finance and has got a newfound love for content writing. He loves to curl up in his bed with a good book and when not in front of a laptop, he can be found trying out new cuisines.